Festus is an Advocate of the Courts of Judicature in Uganda and an Attorney & Counselor at Law in the State of New York. He holds a Master of Laws in International Taxation from New York University, where he was a Hauser Global Scholar. He also holds a Bachelor of Laws (First Class Honours) from Makerere University where he was the winner of the Chief Justice's Prize, as the best overall student in his class. Festus is a tax expert and is reputed for advising businesses on complex tax issues in relation to cross-border transactions. Festus' recent experience includes serving as a tax adviser for the Consor­ tium during negotiations for a US$ 4bn refinery in Uganda. Festus was the tax adviser for the investor in a USD 620 million steel plant project in Uganda. Festus is currently representing Heritage Oil & Gas in a USD 434 million litigation before the High Court of Uganda. Festus has served as tax technical adviser for the World Bank, the African Development Bank, the Government of Liberia and the Republic of Somaliland and the Ministry of Finance of Uganda. Previously. Festus served as an international tax consultant at Price­ Waterhouse Coopers' New York and Uganda offices. Festus has, on occasion, been called as expert witness on Ugandan tax law in the London Commercial Court and in the High Court of Uganda. He has also appeared pro hac vice in tax litigation before the Rwanda Commercial Court. 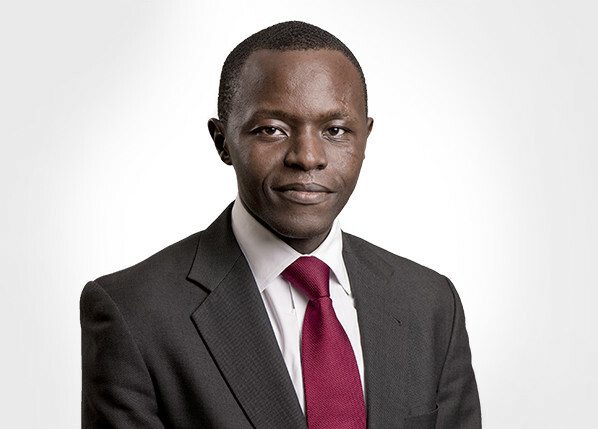 Festus is a lecturer of international tax law at the East African School of Taxation, and has served as guest lecturer on interna­tional tax at Duke University (North Carolina, USA) and Vienna University of Economics and Business Administration (Vienna, Austria). Festus has on several occasions been invited to train the Uganda Revenue Authority and the Uganda Tax Appeals Tribunal on complex tax matters.